This is a small but phat gift. 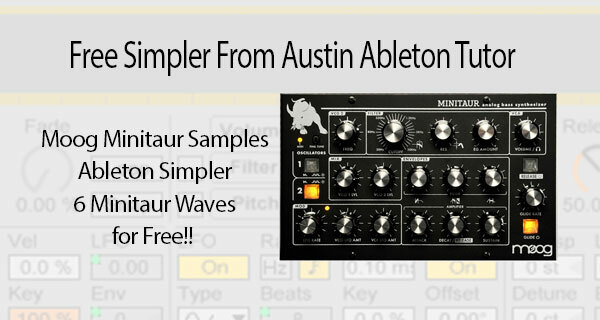 The Free Ableton Simpler Rack is loaded with 6 different Moog Minitaur Samples that you can use royalty free in your productions how ever you want. 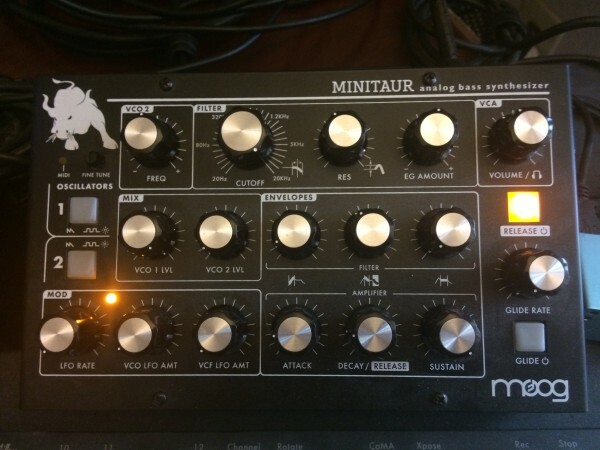 The Moog Minitaur is an amazing little synth with a lot of punch to it. Classic Moog oscillators Sampled and loaded into a Free Ableton Simpler that you can download. This Awesome analogue synthesizer lives on my desk and is on of my prize peaces of gear. The creamy phatness of the Moog Minitaur makes its way into most of tracks. You can also try taking the Free Ableton Simpler and layering it with an Ableton Operator patch. The sound of analogue synths and digital synths can get really awesome and shapable. Austin Ableton Tutor Teaches Private Online Sessions and Webinars.